Hike with us at the Urban Ecology Center’s HKE MKE! 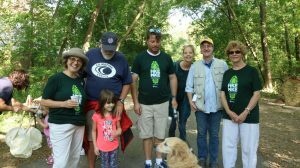 Hike with fellow Rotarians on Sunday, September 9th from 9:00 am – 1:00 pm to benefit the Urban Ecology Center! The Urban Ecology Center is an environmental education organization with community centers in Riverside Park, Washington Park and in the Menomonee Valley. The Urban Ecology Center provides science education for over 60 urban schools, offers an after school and summer programs for young scientists and naturalists, and works with public entities to ensure that public parks are safe, ecologically vibrant and accessible. The Rotary Club of Milwaukee is the title sponsor of their HKE MKE fundraiser for the third year in a row. Beginning in Milwaukee’s beautiful Riverside Park, you’ll hike at your own pace through the Milwaukee Rotary Centennial Arboretum and along the East and West sides of the Milwaukee River. The 2.5 mile route is family-friendly and tailored to different abilities so everyone can participate. Registration is free for all Rotarians and guests. Contact the Rotary office on how to register and help us show our support for the Urban Ecology Center! Rotary’s $12,500 sponsorship is provided by the funds of the RCM Community Trust.